Close up of two beautiful young female technicians putting on their hardhats smiling to the camera confidently posing at the metalworking factory warehouse. Safety, gear, women. An American worker in helmet and safety gear in an Industrial facility creates sparks and work site safety hazards. old man cutting branches from a felled tree with a chainsaw. Not wearing suitable safety gear. Roofline follow shot of industrial workers in safety gear working on warehouse rooftop & side from crane lift. 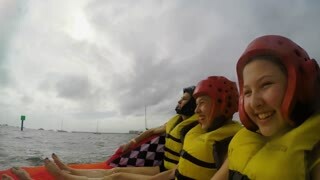 Family enjoying a water sport on a raft while wearing safety gear. Adult man wants to buy protection glasses in a building store. Special products for builders. Safety gear. Crane moving large waste pipes in Gran Canaria. Workman in safety gear talking on mobile phone. Colourful plants. Black waste pipes stacked in mid-ground. palm trees and blue sky in background. UNITED STATES: 1948: factory worker in safety gear pulls metal rod. Man drives tub of hot liquid along tracks. Welding steel in an industrial metal fabrication shop with Sparks and electric arc. The skilled labor worker is wearing safety gear, heavy gloves and Mask. Welding Mask and safety gear protects this skilled American worker in an industrial metal fabrication shop from electric arc flash and Sparks. A man wearing safety gear jumping down from a waterfall. A skilled laborer welds a fan blade on a large industrial implement. The worker wears safety gear, helmet, mask and gloves.